The Skilcraft B3 is my go-to EDC pen/pencil. It’s slim profile works great with my pocket notebook and it is a great alternative to the much larger and more expensive metal-bodied multi-pens that are on the market. I’ve tried to carry other plastic multi-pens such as those made by Bic and Pilot, but their plastic bodies are not always ideal for putting in your pants pocket. A big plus for buying this pen is that it helps support an American company that employs blind workers. 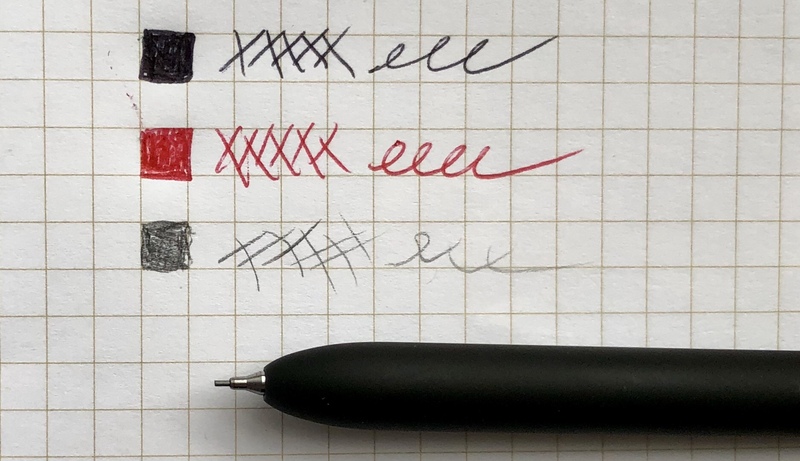 If you need a durable multi-pen, then the Aviator is good for that. But the twist mechanism – specifically the fact that you can’t see which tip you’re turning it to – really annoys me.